£1.3 million was won using Roulette Computers in the Ritz Casino London in just two nights! ***Important Disclaimer*** Before getting into the nitty gritty of roulette computers, it would be best to make something very clear. We are not recommending or endorsing the use of cheating devices in countries where its illegal. Roulette computers are cheating devices that, under the right circumstances, can beat roulette. What we’re going to do here is discuss how they work or why they can beat roulette. Before going any further, we should point out that we’ve never used a computer so we are unsure on the exact details on some aspects, but we certainly know enough to give you a good idea on how they work and answer the most common questions. How They Work – There are many different kinds of computers but the most common design requires the user to click a button at certain reference points so that the computer can make a prediction on where the ball will eventually land. Look closely at this image of a roulette wheel and around the outside you’ll notice 8 diamonds, they are the reference points and you can choose whichever one you like. Every time the zero and the ball go past your reference point, you click the button. The time between each click will increase as the ball slows down and the computer uses this information to calculate where the ball will land. One thing we’re unsure of is how the computer differentiates between a click for the zero and a click for the ball, only someone who’s used one could answer that question. Where is this button? Won’t the casino see me using it? There are many “discreet” places for the button such as in the fabric of your clothes or in your shoe, under the big toe. We’ve even seen one seller who has a button that you put between your teeth which sounds very uncomfortable, but each to their own. You would need to be comfortable with the position of the button because you will be pressing it regularly and if you get the timing wrong, the predictions will be wrong. On top of that, you need to be able to press it without drawing any attention to yourself. Once the computer has made it’s calculation, the information is communicated to the player via an earpiece or through vibration. Most computer players will then bet not only on the number that was predicted, but the surrounding numbers as well so that the entire section is covered. For example, if the prediction was number 7, you would bet 18 – 29 – 7 – 28 – 12. If the casino allows it, you could do this quickly via Neighbour bets. You do not have to be like this though, placing one chip will also equally give you a good return. The computer will not get the right number every time but if it is used correctly, the ball should land close to the prediction which is why it’s better to cover a section rather than just one number. Keep in mind that once the Croupier releases the ball, you will have a 15 second window to get the prediction and place your bets before “no more bets” is announced. It will require practice in real casino conditions to be able to do this without making any errors. No Progressions, Just Flat Bets – Remember, the casino has an advantage of 2.7% (European) because of the unfair payouts that are built into the game. If however you know which quadrant, or even which half of the wheel the ball will land on (which is the goal for a roulette computer), you will have a huge advantage over the casino. Even with a 1% advantage, you could win a lot of money just by flat betting and allowing your advantage to slowly increase your bankroll. Apparently, a roulette computer in the right hands can give an edge to the player of over 50% although we cannot verify whether or not this is the case without using one. Expect an average edge of around 25% using a roulette computer. Are Roulette Computers Legal? – We can’t answer that question. In some countries they are, others they aren’t. Then there are countries such as the USA where they may be legal in one state but not in another. If you want to know for sure, you need to speak to the gambling commission in your country/state and get some concrete answers. Getting in touch with the right people to get the answers you’re looking for will probably prove to be quite difficult so keep that in mind as well. Why The Secrecy Of The Computer If It’s Legal? – Just because it’s legal does not mean the casinos will want someone constantly winning with the use of a computer. Rest assured, if the casino suspect you of using a computer, they can ban you not only from the premises, but their other casinos nationwide, for example, the Genting Group who own over 40 casinos in the UK. How Do They Spot Computer Players? Where’s The Proof? – While we aren’t experts, we imagine that spotting a player using a computer would not be very difficult. A computer player will only ever be placing winning bets after the ball has been released and just before “no more bets” is announced. They may place some losing bets before the ball is released to try and “blend in” but that doesn’t change the fact that their winning bets will constantly be placed after the ball has been released. Casino staff aren’t dummies; your every move is watched and this kind of behavior over a prolonged period will almost certainly raise eyebrows. Then there’s the ear piece which is a potential giveaway. They are small and hard to spot these days, but if a member of the security staff suspects you of using a computer and shines a flashlight in your ear, they will almost certainly spot it and then the game’s up; you will be told to leave. If you’re in a jurisdiction where the use of a computer is illegal, the police will be called and you’ll end up in jail. They are illegal in some US states and Austria(Europe). The rest of Europe is legal to use such devices. Even if a casino suspects you of using a computer but can’t prove it, they are still within their right to ban you; they don’t need to prove anything or justify their motives. Where Can I Get One? – Another question we can’t answer. As you’d expect, you can’t just go to the electronic section of Tesco (UK) or Walmart (USA) and pick one up off the shelves. The only option is to order one online but the marketplace is a minefield. There are multiple sellers, all claiming that theirs are the best and the others are rubbish. It would be impossible for us to recommend a seller (if any) without testing them all and due to the potential legal problems, we’d rather not bother. You’d have to do your own research and arrive at your own conclusion. The first commercial seller of Roulette Computers was Mark Howe (UK) who gave the Guardian Newspaper and a team of scientists a successful demonstration. He is also the only seller that allows payment through eBay and PayPal so avoid any one else claiming to have such technology. Can I Use Them Online With Live Roulette? – No. The only reason a roulette computer is effective in real casinos is because you’re allowed to place bets after the ball has been released, thus giving you time to measure the speed of the wheel and ball. At all the reputable UK online casinos such as Betfair, Paddy Power, William Hill, Ladbrokes and Bet365, you have to place your bets before the ball is released, so it’s impossible to get predictions. All these major brands are aware of the risk that roulette computers pose to them and stopping bets after the ball is released is a simple way to eliminate this risk. 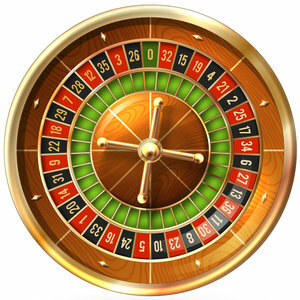 In the beginning many users of Roulette Computer were beating these online casinos, so they stopped bets after the ball is released. In the casinos, they will not do this because people accuse the casinos of cheating. There may be some “underground” online casinos that allow bets after the ball is released but we aren’t aware of them. Even if there are, they could change the rules overnight which would stop your computer from working. Realistically, they can only be used in a real casino. We Don’t Recommend Them – Due to the fact that there are many places all over the world where using a roulette computer is illegal, we can’t recommend or condone using them. On top of that, there’s the issue of actually buying one that works, you could end up buying unreliable junk that’s no better than random guessing. Make sure the seller allows eBay and PayPal for example so you know they can be trusted. They are currently legal in :Canada, UK, France, Spain, Germany, Holland, Denmark, Greece, Italy, Sweden, Russia, South America, Australia, some States in the USA. Then there’s the constant looking over your shoulder and worry that you’re going to be spotted and banned by security staff. If you’re adamant that you want to buy one, buy through eBay and PayPal and make sure they are legal where you intend to use it. We do not condone illegal behavior.